WIN: Hallmark is giving away a Jingle the Husky Pup Interactive Story Buddy and a Charlie Brown Christmas Recordable Storybook from Hallmark. 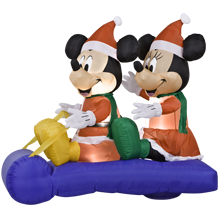 WIN: Gemmy is giving away a Sledding Mickey and Minnie Inflatable. Click here to enter now. WIN: Rokenbok is giving away a Rok Works Construction and Action Set. Click here to enter now. 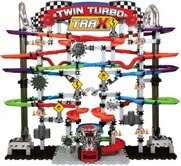 WIN: The Learning Journey International is giving away a Techno Gears Marble Mania Twin Turbo Trax. Click here to enter now. 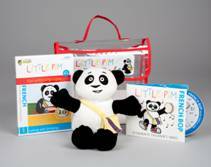 WIN: Little Pim is giving away The Little Pim Gift Set which includes 3 DVDs plus a Little Pim plush in a reusable tote. Click here to enter now. WIN: The Perfume Spot is giving away Hearts and Daggers Women's by Christian Audigier Gift Set. Click here to enter now. WIN: Snapfish is giving away a $50 Snapfish gift card. Click here to enter now. 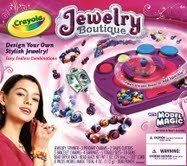 WIN: Crayola is giving away a Crayola Jewelry Boutique. Click here to enter now. WIN: X Out is giving away 2 bottles of The X Out Wash-In Treatment. Click here to enter now. 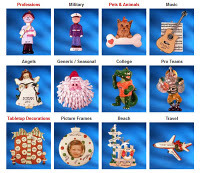 WIN: Ornaments with Love is giving a way a personalized Christmas Ornament of winners choice from Ornaments with Love. Click here to enter now. 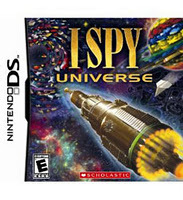 WIN: Scholastic is giving away a I Spy Universe Nintendo DS Game and a Riddle Master Fundles Gift Set. Click here to enter now. WIN: Carolina Pad is giving away the following Studio C Tech Line products: ipad Sleeve, Laptop Sleeve, and the Padfolio. Click here to enter now. WIN: Naturally Nora is giving away 12 boxes of Naturally Nora’s mixes. Click here to enter now. 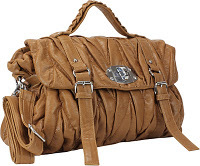 WIN: Mad Style is giving away a Shar Pei Handbag (colors available are black, charcoal, and brown). Click here to enter now. WIN: Disney is giving away a Beauty and the Beast: The Enchanted Christmas Special Edition Combo Pack. Click here to enter now. WIN: Roku is giving away a Roku 2 XS unit. Click here to enter now. WIN: Discount Watch Store is giving away a Pulsar woman's watch with Swarovski Crystals. Click here to enter now. WIN: 24/7 MOMS and Wonka are giving away Wonka candy. Click here to enter now. 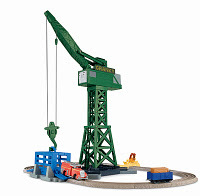 WIN: Fisher Price is giving away a Thomas and Friends Trackmaster Cranky and Flynn Save the Day! How do we find out who won.